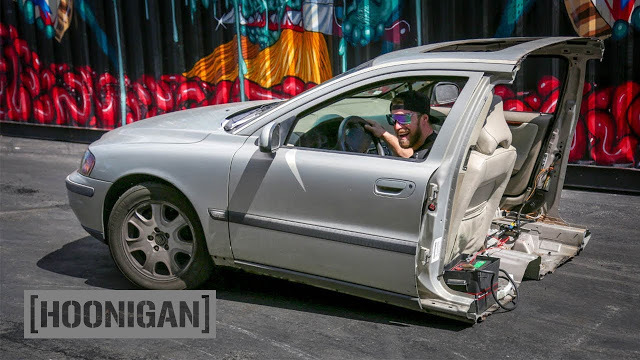 The crazy guys from Hoonigan are at it again, but this time they’ve gone even more bonkers with a shredded Volvo V60, proceeding to do the tightest donuts in it possible. As it says on their website: ‘Hoonigan is a motorsport-lifestyle brand with a penchant for automotive debauchery’. The things they do is total madness.